Thousands of dancers from Rio de Janeiro’s elite samba schools were set Sunday to roll out their traditional parades of feathers and sequins — combined with a large dose of social and political commentary — as the main business of the giant annual Carnival gets under way. It’s the first Carnival since the election of President Jair Bolsonaro, the far-right leader who rode a wave of support from conservatives and evangelical religious groups — who hold a dim view of the Carnival’s excesses — into office last year. 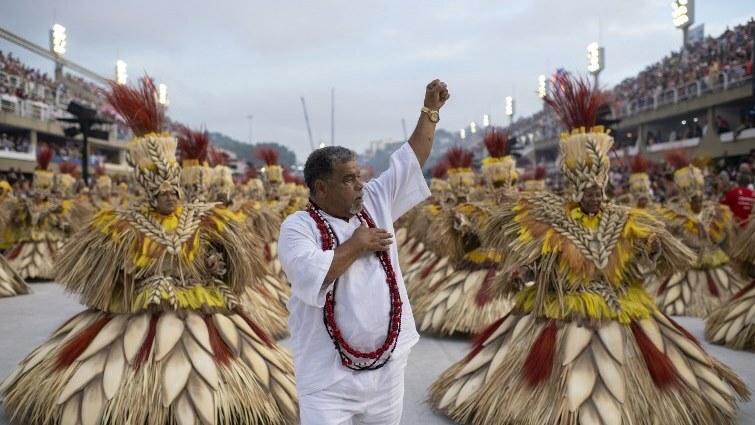 In total, 14 samba schools from the elite so-called “special group” will parade on Sunday and Monday nights at the packed purpose-built stadium known as the Sambodrome, to compete for the prestigious Carnival title. Each school, featuring up to 4,000 shimmering dancers, elaborate giant floats and deafening percussion, will take 75 minutes to parade down the 700 meters (yards) Sambodrome track. The Carnival formally kicked off Friday with the traditional symbolic passing of a key to the city to the festival-leading “King Momo” character — unleashing giant street parties known as “blocos” in Rio, Sao Paulo and across Brazil. One of Sunday’s most anticipated groups is current champions Beija-Flor, which triumphed last year with spectacular, hard-hitting floats depicting violence and corruption in Brazil. This year, the school will tell the story of its 70 years in existence under the theme “The Fables of Beija-Flor”. The parades begin at 9:15 pm (0015 GMT) and last well into the early hours of the next morning. The two biggest schools, Portela and Mangueira, are among those participating on Monday. Portela’s parade will pay tribute to Brazilian singer Clara Nunes, an icon of the 1970s and the first artist of her time to publicly defend Afro-Brazilian religions. A section of their parade will feature dancers in costumes designed by French designer Jean-Paul Gaultier. The other major school, Mangueira, will perform what its artistic director Leandro Viera calls the “B-side” of Brazilian history, with a parade extolling the heros and heroines of the country’s long-sidelined black, indigenous and poor populations. The troupe will also honor black city councillor Marielle Franco, a respected and outspoken defender of human rights in the slums of Rio, who was shot dead in March of last year. Authorities expect seven million people — including one and a half million Brazilian and foreign tourists — to participate in this gigantic outdoor party. The post Samba schools ready to roll for giant Rio Carnival appeared first on SABC News – Breaking news, special reports, world, business, sport coverage of all South African current events. Africa's news leader..